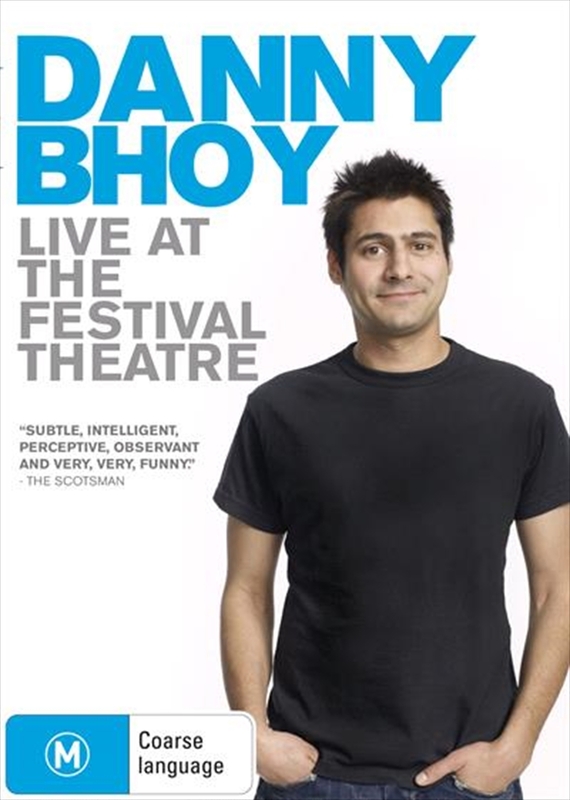 Danny Bhoy is one of the most in-demand stand-ups on the planet. A natural gift for storytelling combined with a razor-sharp wit makes him one of the most unique, and exciting comedians to emerge in the past few years. Recent barnstorming appearances on The Late Show with David Letterman and BBC Ones Live at the Apollo tell only part of the story. Over the past decade, this young Scot has quietly built a huge global following on one of the most reliable social media platforms of all, word of mouth. This DVD features a special performance on his return to his home city of Edinburgh. Filmed at the prestigious Festival Theatre it features material taken from his past two highly-acclaimed shows By Royal Disappointment and Messenger (Please Do Not Shoot).